Pattie Belle Shift Dress https://www.review-australia.com/global/pattie-belle-shift-dress-cobalt/RE19DR107.REBLU011.html Sleek and versatile, this is a shift dress with an edge. It's crafted from a quality crepe fabrication in a regular shift silhouette, finishing at the knee. 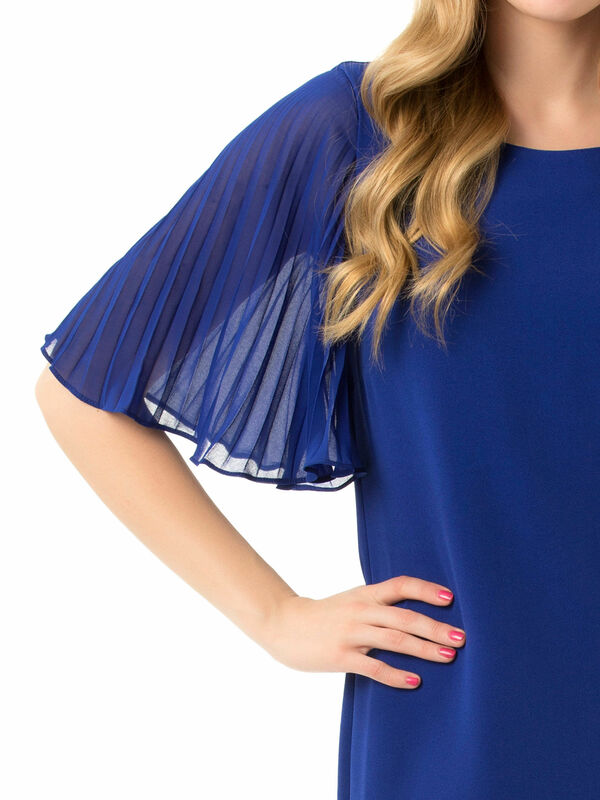 The streamlined dress is offset with sheer pleated sleeves.